This isn’t a typical book review but a preview because I haven’t read the book yet. 10 years ago, Rick Warren wrote The Purpose Driven Life, which became the bestselling hardback nonfiction book in history, and the second most-translated book in the world, after the Bible. Without a doubt it has inspired and changed countless lives. Now, Rick has updated and expanded the book with new chapters to help give our life even greater purpose. One thing I find very exciting about this new version, is the QR codes at the beginning of each chapter that link to a video introduction, an audio message and notes for deeper study. 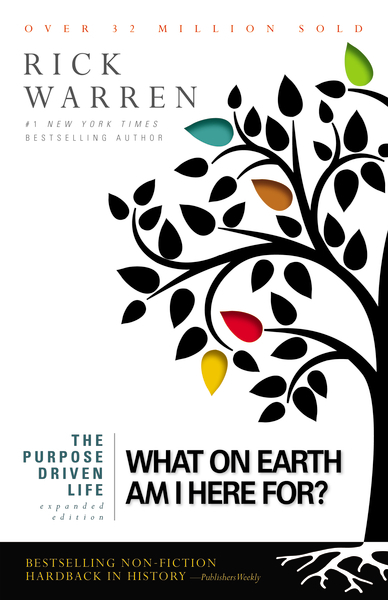 I’m really looking forward to reading The Purpose Driven Life: What On Earth Am I Here For?